You can now recover the PINs of over-scratched MTN recharge card without even calling their customer care agent. 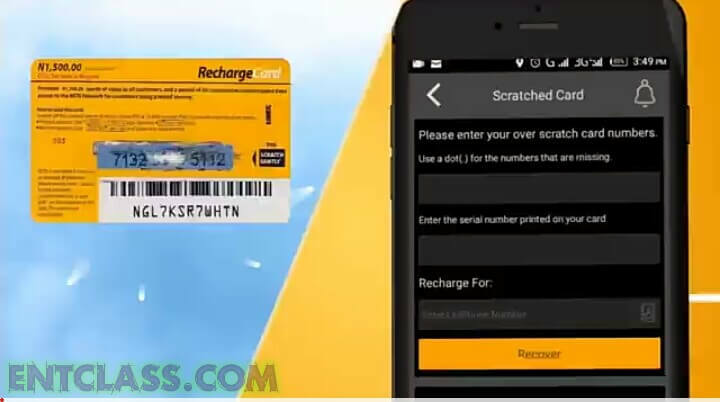 Over-scratching recharge card is a common mistake we mobile users face. The only solution then was to call the customer care line, explain to them and then call out the card's serial number for them to track it. But now, you don't have to go through all these stress anymore. You can now serve yourself; i mean, you can now retrieve the over-scratched MTN recharge card pin using MyMTN mobile app. You can also watch the official video from MTN that guides you on how to do this. Watch below. I still have a card that is 12 digits. Can I load it with the app? You mean over scratched card?